A comprehensive 13-week companion workbook to experience fresh power and purpose by drawing on the supernatural resources within every believer. Your Christian life really can be new every day-overflowing with never-ending passion- when you discover what really happened to you when you met Jesus Christ. 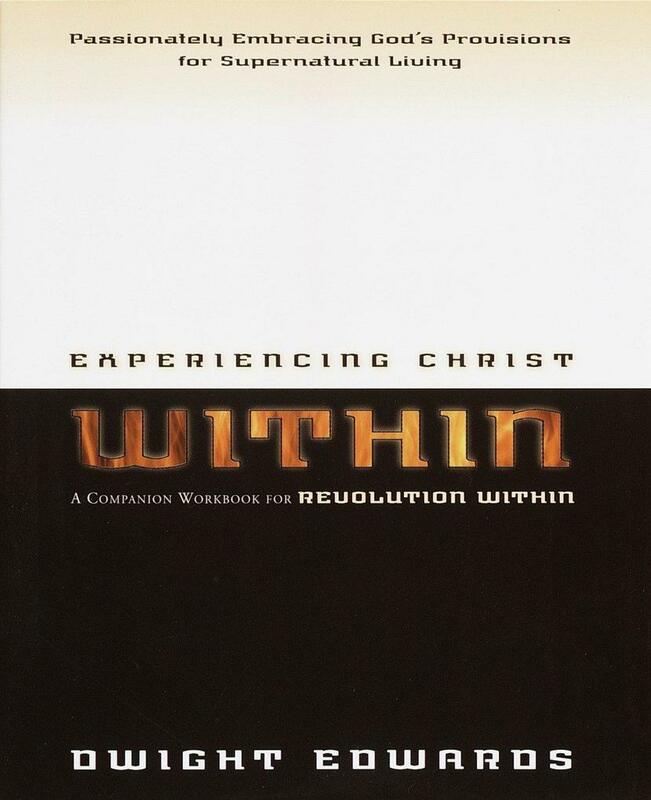 The Experiencing Christ Within workbook can help you do just that. You'll learn how to release the lavish supernatural resources that permanently reside within every believer's soul-new purity, identity, motivations, and power. Because only then can you fulfill your God-given purpose. In this 13-session study ideal for individuals or groups, Dwight Edwards guides you on a fascinating examination of these life-changing biblical truths and their practical outworking. The result: You'll tap into a vibrant eternal reality and experience refreshing intimacy with God, new liberty, a deeper sense of community with other believers, and a greater capacity for ministry-all with a passion for God's glory. Dwight Edwards serves the 2,500-person congregation of Grace Bible Church in College Station, Texas, where he became senior pastor in 1990 after a decade as the church's college pastor. A direct descendant of the renowned early American preacher and theologian Jonathan Edwards, he attended Dallas Theological Seminary. Dwight and his wife, Sandy, have three sons.